BENGALURU (Reuters) – The Indian rupee is set to underperform against the dollar again this year, weighed down by uncertainty ahead of a national election in May, but is unlikely to retest life-time lows, a Reuters poll showed. After reversing some of the deep losses in the final few months of 2018, the Indian rupee has lost about 3 percent so far this year, including nearly 1 percent since the government delivered a populist interim budget on Friday and inflamed concerns about the nation&apos;s fiscal deficit. Pressure on the current government remains intense to woo more than 900 million eligible people set to cast their votes in the world&apos;s biggest democratic exercise. The latest poll of over 55 foreign exchange strategists taken Jan 28-Feb 5 showed the currency will strengthen only slightly to 71.0 per dollar in a year from around 71.8, where it was trading on Tuesday. While that outlook for the rupee, the worst-performing major Asian currency this year, was slightly better compared to the previous poll, it is largely driven by expectations the dollar&apos;s dominance has diminished. “From stellar outperformer in October-December 2018 – falling below 70 from about 74 – the rupee has turned to become the sole whipping boy this year. 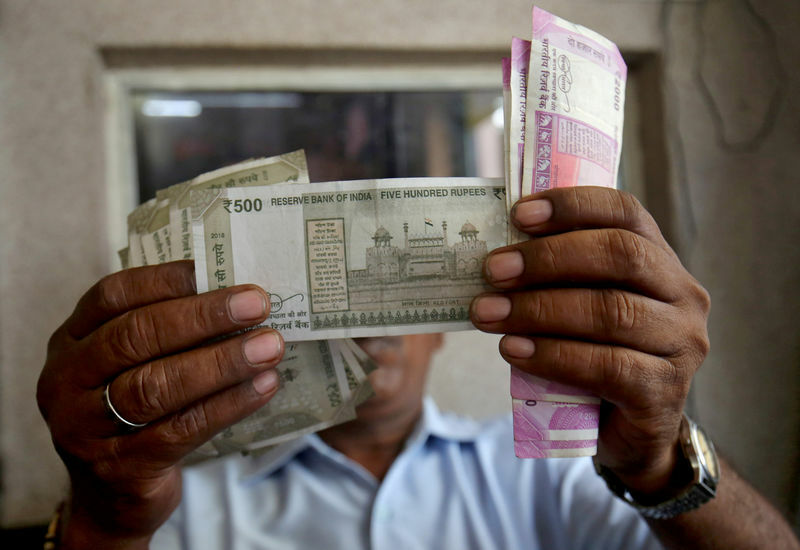 Notably, the rupee is the only currency to drop in sharp contrast to solid Asia ex-Japan currency gains, and is set to remain on the back foot,” said Vishnu Varathan, head of economics and strategy for Asia at Mizuho Bank. The latest poll also shows less than 10 percent of the total contributors with a year-ahead view now expect the rupee to breach its all-time low of 74.485 per dollar hit on Oct. 11. That compares with nearly one-fifth in the previous survey, about a third in December, and down significantly from nearly 50 percent in a November poll. A separate Reuters poll showed bets against the rupee rose to their highest since early December, dampened by oil&apos;s resurgence and election risks. “We think that further falls are likely (in the rupee) over the coming months,” said Shilan Shah, senior India economist at Capital Economics. The rupee&apos;s path will also be guided by the Reserve Bank of India&apos;s latest policy decision on Feb 7 – the first under a new governor after former chief Urjit Patel left abruptly toward the end of last year. The RBI is likely to soften its stance later this week and cut interest rates by mid-year at the latest – an extraordinary U-turn in policy expectations – according to the latest Reuters poll of economists. “Under RBI governor Shaktikanta Das, the policy stance is likely to be shifted from &apos;calibrated tightening&apos; to &apos;neutral&apos;, with lower levels of inflation and growth the basis for this change,” analysts at MUFG wrote in a note to clients.